This entry was posted on Saturday, January 30th, 2010 at 11:52 am	and is filed under Dharma Readings. You can follow any responses to this entry through the RSS 2.0 feed. You can leave a response, or trackback from your own site. All we need to do is to watch our mind. We shouldn’t stopped by our own habitual defilements disguised as anger, bad hurtful speech, vengence and all forms of desires and attachments. Cultivate human dignity, exercise patience, tolerance,sympathy, humility, kindness and compassion. Execute virtous actions by pushing ourselves to help and benefits others. It’s a worthwhile deed! This is the Buddha’s teaching condensed into eight verses. If we practise what is taught here, we will become enlightened. Dharma is pure and simple. It is natural for our minds to forget once situations or what we have heard had past. So we must train our minds not to forget. The way to do this is that we must constantly have verses to remind us of virtuous actions we must project and discard non-virtuous thoughts from our minds which will eventually lead to non-virtuous actions. 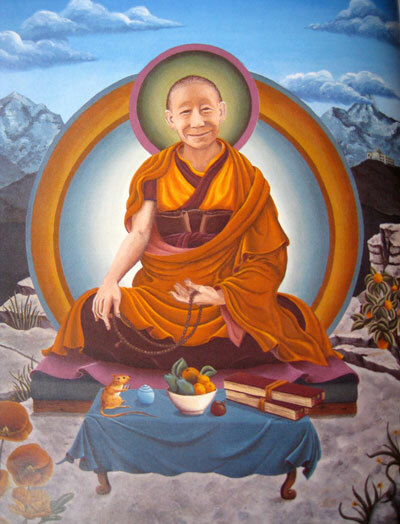 The best way to do that is to read the 8 verses of training the mind by Kadampa Geshe Langri Tangpa. When we read this everyday we become habitual to it. And when the opposite thoughts arises we can stop it by remembering the 8 verses. It will also help us to collect the good merits to help us to transform ourselves and cause peace and harmony wherever we go. These 8 verses of training the mind when contemplated deeply is very beneficial for the transformation of oneself. Is also a very important guide to help us to refrain from all our negative habitual habits. Habituations can be classified as good or bad habituation. But in the Samsaric existence bad habituation will always be easier to follow. It is easy and enjoyable to indulge in negative habituations.So we need these 8 verses to train our mind to counter and think positive eventually to be habituated into positive thinking and actions. This will create harmony, love, compassion, humility etc in ourselves with others. I can’t believe this, wonderful solution. People have to consider lulu immediately whilst it’s still in store ! ! !